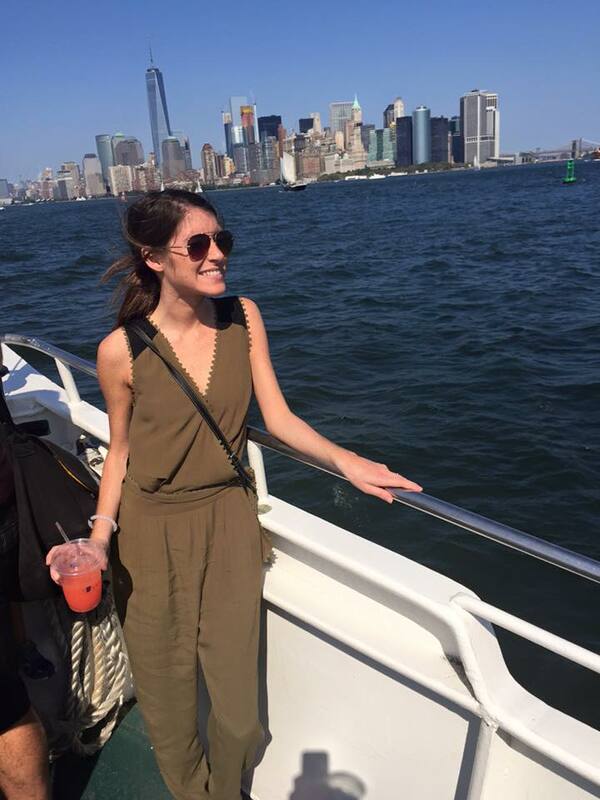 True to form, I booked a last minute trip to New York City with my best friend Hanna, otherwise known as “nugget,” for Labor Day weekend. I always find these trips to be the most fun as I don’t have enough time to exercise my excessive over-planning attributes. For this trip we flew in on Saturday morning and departed New York Monday in the late afternoon. For the short amount of time we spent in this incredible city, I truly feel we got a good taste of what New York has to offer. In this blog post I’ll cover where we stayed, what did, and our favorite highlights. Prior to arriving a friend of mine who used to live in New York recommended we make a reservation at Harry’s Cafe & Steak for brunch. We arrived in the city around 9:00 am Saturday; with a reservation set we headed straight from the airport to drop our bags off and then over to the financial district. 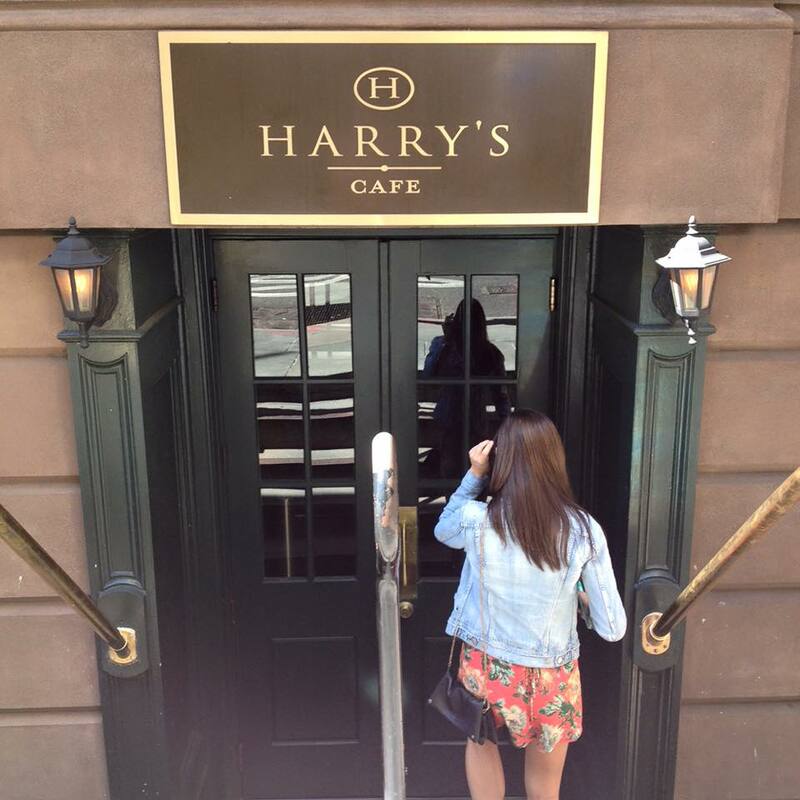 Harry’s was the absolute perfect place to begin our trip in New York. The cafe offers huge portions of deliciousness (I had the french toast) and unlimited champaign with the purchase of any entree. Let me repeat that, unlimited champaign with the purchase of any entree. Needless to say after 3 hours and the help of our extremely generous waiter, we were ready to party by 2 ‘o clock in the afternoon. If the sound of unlimited champaign didn’t draw you in, the total cost for each of us was $30.00, tip included. 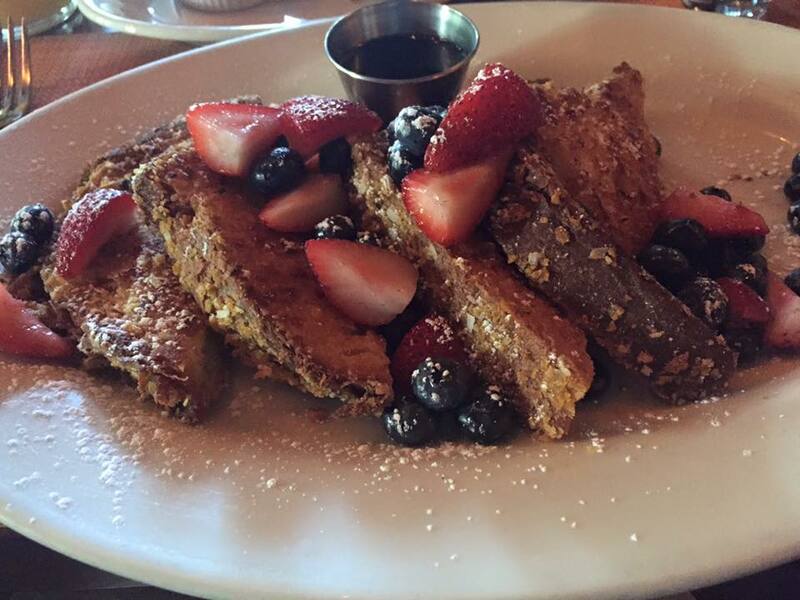 For a brunch in New York, you cannot beat that price, especially when considering the service and atmosphere. I would highly recommend adding this brunch stop to your list (Note: They are only open for brunch on Saturdays so plan accordingly). Stumbling out of Harry’s we wandered around the financial district and then eventually made it back to our Hostel for check-in. We stayed at the Budget Inn New York in a 4 bed, mixed dorm. In terms of price, this is one of the more expensive hostels I have stayed in, but when you factor in location and how expensive New York is, it was very reasonable. The staff were friendly and the rooms were clean, but we did find a nasty cockroach outside our door. I’m almost positive it was plotting my death before I reported it to the front desk (they took care of it right away). Outside of that, the only other area the hostel lacked in was the community aspect you find in hostels elsewhere. Due to location and size they squeezed a lot of rooms into a small space. If you are looking for a clean place to sleep, friendly staff, and a great location within walking distance to most major areas of the city, this is a great place to stay. 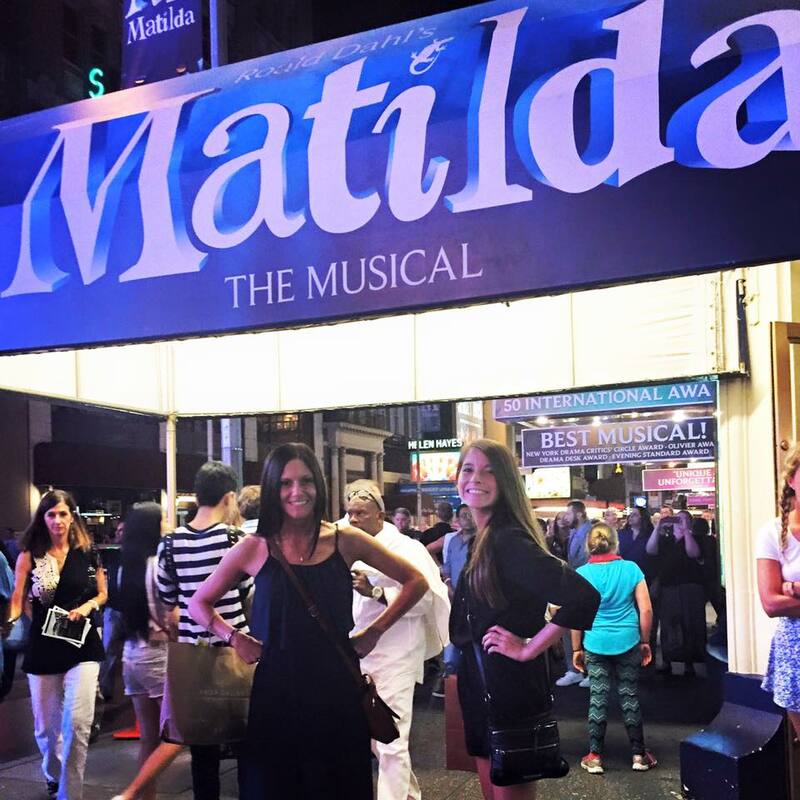 For our first night out in the Big Apple we went to see Matilda. This was the one pre-planned activity we had committed to. If you are love musicals add this one to your list. The set is incredibly creative and interactive and the cast is stellar; the little girl who played Matilda blew my mind. To cap off the night we grabbed late night snacks and crashed. Our second full day in the city we headed over the Grand Central Station to explore and stumbled upon Campbell’s Apartment, a historical cocktail lounge hidden down a random hallway and up an elevator at the station. My friend had mentioned this place as the number one spot we had to visit, but hadn’t told us where it was. Well we found it. This was, by far, the highlight of my trip. If you ask Nugget she was ready to shoot me, because I talked about it over and over the rest of the weekend. The lounge used to be a wealthy business man named John Campbell’s office and during prohibition his wife and him would entertain friends their after hours. 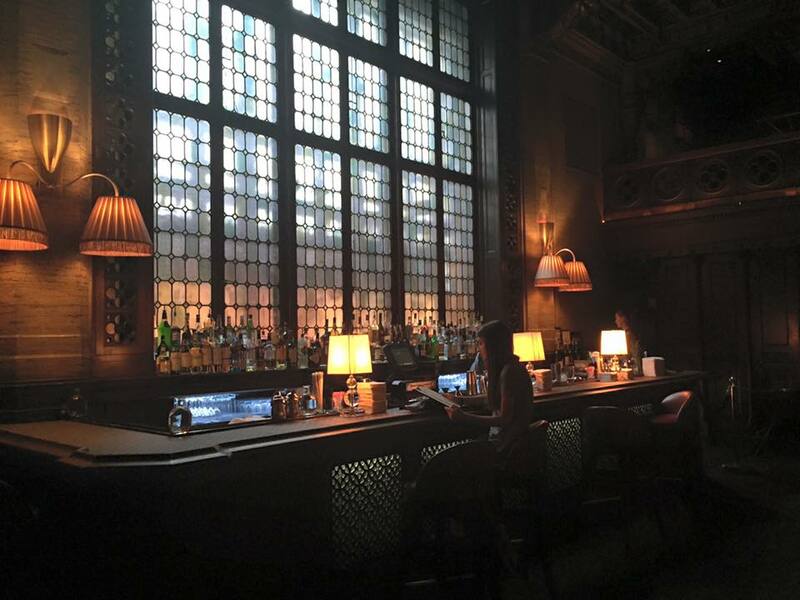 In the late 1900s they turned the office into a cocktail lounge that you can visit today. 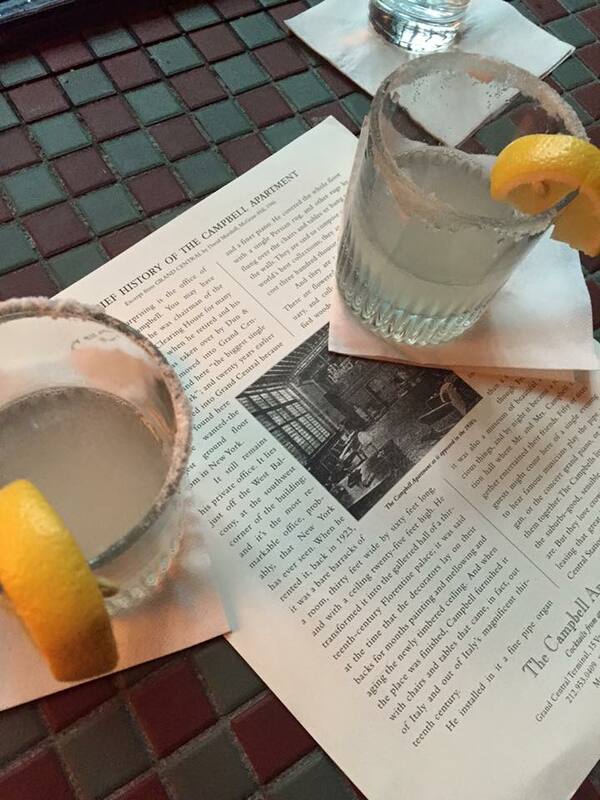 The bartender was incredibly knowledgeable about the history and the cocktails were on point. If you want to stop by make sure you are dressed appropriately (thankfully we were) as they will turn you away if you are wearing jeans, flip flops, etc. The rest of the day was spent down by the Brooklyn Bridge where we sat and enjoyed beer we had picked up at a local convenience store and then headed over for late night pizza on the river. Our final day in the city we made our way over to the 9/11 Memorial. I could dedicate an entire post to my experience at the memorial, but I feel everyone should experience it for themselves. 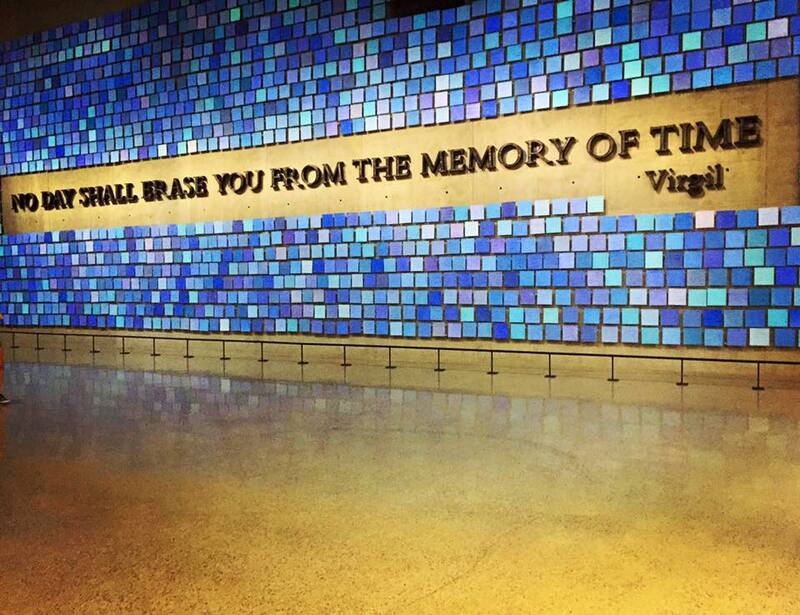 It is incredibly overwhelming and emotional so I would consider walking the memorial alone to take it all in. Give yourself about 3 hours to see the entire exhibit. 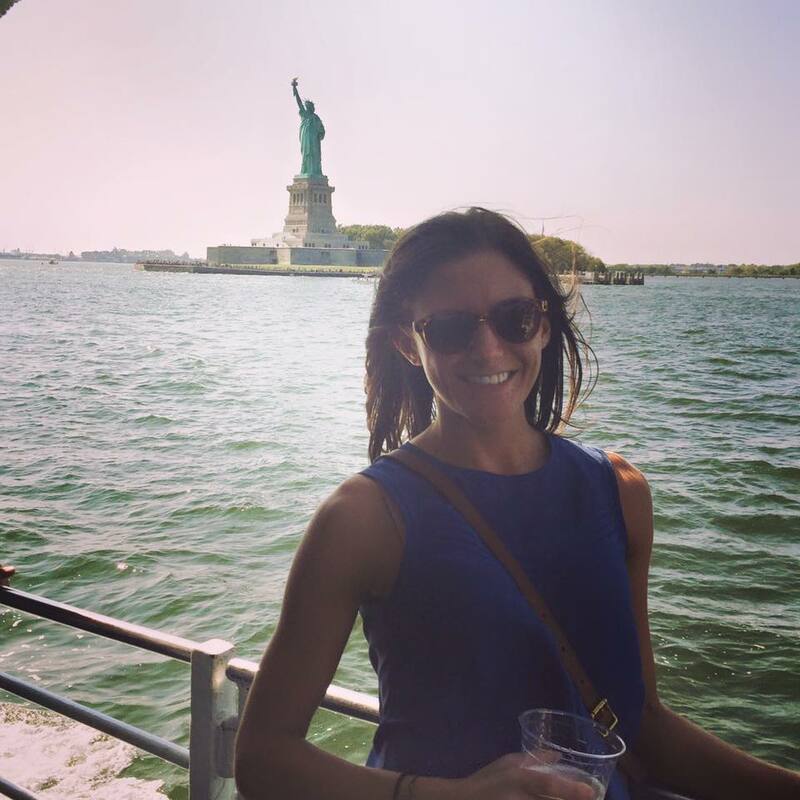 Lastly, we took a river cruise to see her majesty, State of Liberty, the most anti-climactic experience I have ever had. The boat tour was a fun way to wrap up our trip and see New York from the water, but the state was incredibly underwhelming. 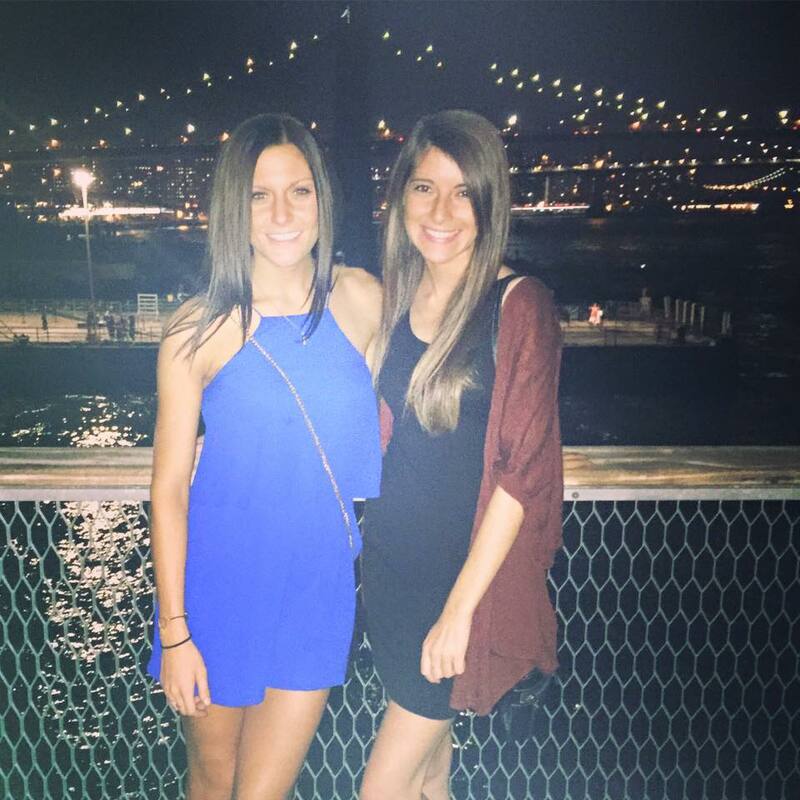 I would skip a trip to Ellis Island unless going there for the museum or to find family documents. Overall, New York treated us very well and is definitely a city I would like to visit again, but I strongly believe you can get a good taste of the city during a long weekend. 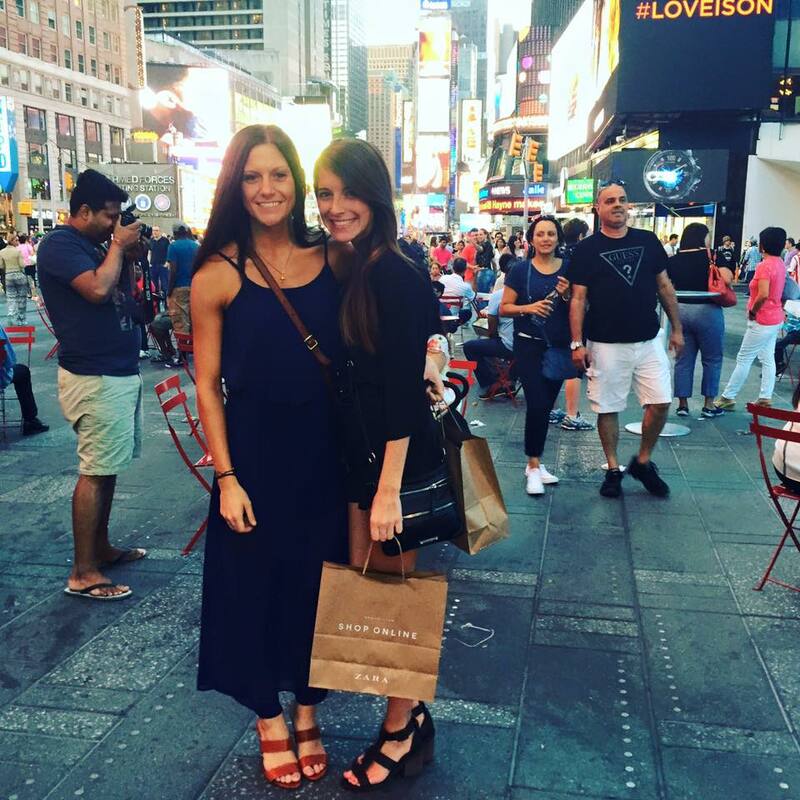 If you are looking for a fun weekend get-away, I would add New York City to your list!